KNOWING the herbicide resistance status of their weeds, rather than making assumptions, will pay off for grain growers through their ability to implement more targeted and cost-effective weed management strategies. Australian Herbicide Resistance Initiative (AHRI) researcher Roberto Busi said this approach would sustain the efficacy of valuable herbicides and other weed control methods. Dr Busi has led a Grains Research and Development Corporation (GRDC) investment in Western Australia, centred in the western part of the Kwinana port zone, that aims to demonstrate the value of growers testing for herbicide resistance in major weeds on their farms. It has looked at the herbicide resistance status of weeds on ‘focus farms’ and agronomic practices that can help growers deal with any developing resistance issues. The project was initiated as a result of priorities identified by the GRDC Kwinana West Regional Cropping Solutions Network (RCSN). Dr Busi recently led workshops at Cunderdin, Wickepin and Kulin where he and ConsultAg staff discussed project findings with more than 100 growers. “I discussed locally-identified herbicide resistance issues found on the focus farms, and the ConsultAg agronomists focused on a range of integrated practices that could help to manage weeds and to grow profitable crops,” he said. The focus farms involved nine growers, who all practice harvest weed seed control (HWSC). A total of 17 annual ryegrass samples were tested after being collected from paddocks where herbicide resistance was suspected. “On average, 10 per cent of all annual ryegrass samples tested were resistant to glyphosate, 20 per cent were resistant to trifluralin and 50 per cent were resistant to clethodim,” Dr Busi said. “However, herbicide resistance to other pre-emergent herbicides was generally lower, showing Group D, J and K pre-emergent herbicides are key in this region in controlling annual ryegrass. Dr Busi said another finding was the outstanding effectiveness of some mixtures of pre-emergent herbicides and mixtures of post-emergent herbicides. “The focus farm growers generally had a fairly accurate perception of the effectiveness of individual post-emergent herbicides in their paddocks, but some were surprised by the effectiveness of the mixtures – which performed better than single herbicides,” he said. Dr Busi encouraged growers to have weed seeds tested for herbicide resistance if they suspected resistance was present in a paddock – for example if weedy patches were present. He said growers could over-estimate the effectiveness of newer herbicides on their farms. “Sometimes these newer herbicides, when tested, have developing levels of resistance, which may not always be evident in the paddock,” Dr Busi said. 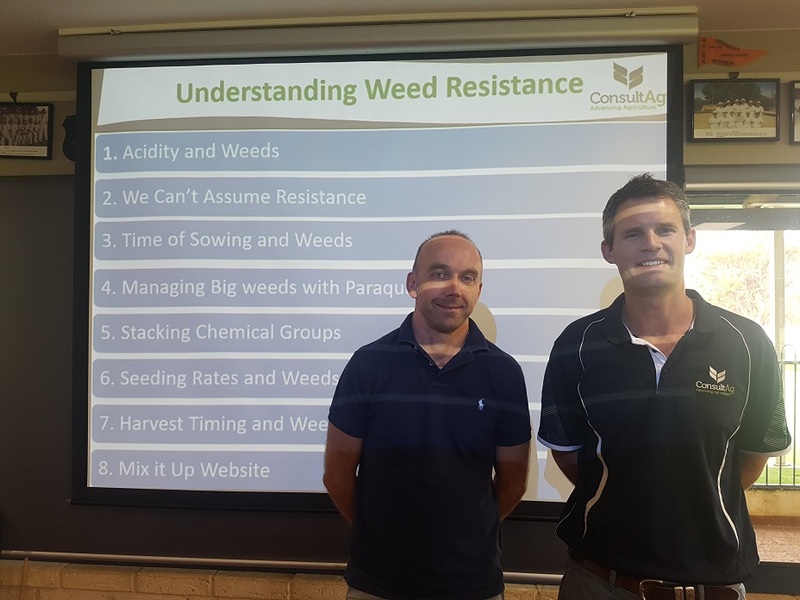 “It is important to know if there are even developing levels of resistance in weeds (up to 20 per cent weed survival to full rate herbicides) so growers are aware of any emerging issues. John Broster, Charles Sturt University, Wagga Wagga (NSW). Phone (02) 6933 4001, email [email protected], web https://www.csu.edu.au/plantinteractionsgroup/herbicide-resistance. Information on herbicide resistance and weed management is available via the GRDC-supported WeedSmart resource centre at http://www.weedsmart.org.au.